This week: a pulpy British spy series, a prestigious BritIish drama, and one of the best films by the Coen Brothers. For British actors, there are few roles more prestigious than James Bond. Tom Hiddleston has become the favorite to replace Daniel Craig in the role on the back of his performance in The Night Manager, a six-episode miniseries adapted from a novel by John le Carré. The spy thriller begins with retired soldier Jonathan Pine (Hiddleston) working as the night manager of a hotel in Cairo, the protests of the Arab Spring roiling around him. After a woman offers him documents incriminating billionaire Richard Roper (Hugh Laurie) in illegal arms deals, Pine is drawn into the world of espionage, recruited by MI6 to infiltrate Roper’s inner circle. Pine is a spy in the vein of Bond, charming on the surface yet troubled underneath, and Laurie provides a perfect foil as Roper, a man whose philanthropic mask is stretched a bit too thin over the monster behind it. Although it begins in a relatively mundane fashion, the show quickly embraces the tropes of classic spy fiction, however ridiculous. For those who crave intrigue, double-crosses, and the occasional verbal sparring match, The Night Manager is beautifully shot and well-executed, if somewhat unimaginative. There is a bit of irony in the fact that, although she has been the face of Britain for more than sixty years, Queen Elizabeth II is somewhat an enigma. 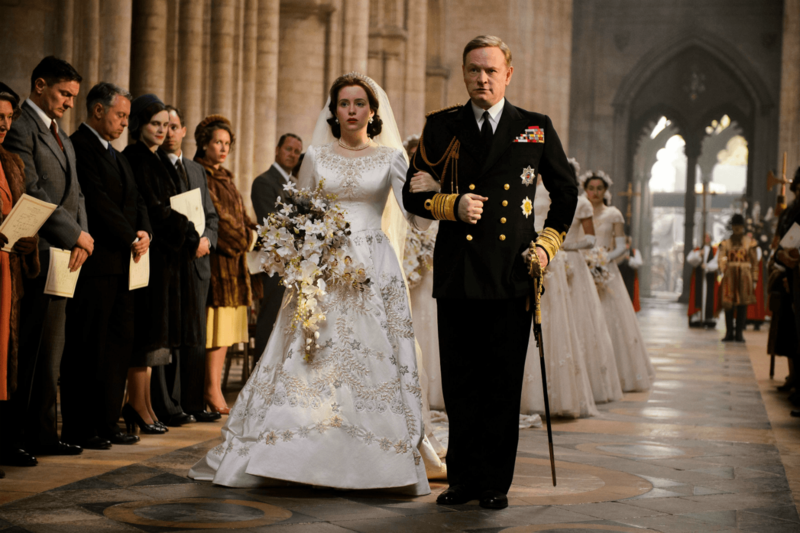 Netflix’s new series The Crown attempts to pierce the royal veil, chronicling the personal lives of Elizabeth and her surrounding family through the wars, crises, and political upheavals her reign has endured. The first season begins with Elizabeth (Claire Foy) marrying Prince Philip (Matt Smith) and follows them through her sudden ascension to the throne and the many conflicts, political and personal, that follow. Despite the enduring popularity and cultural importance of the royal family, Elizabeth has never had much legal authority, and The Crown examines this precarious position. She is a beloved, but powerless figurehead who must charm and wrangle the various agendas in British government. Beyond the political intrigue, The Crown also delves into Elizabeth’s relationship with Philip. Here is a man who, in an era where men were expected to be authoritative, was obligated to stand in his wife’s shadow. The show presents them as passionately in love, but emphasizes the wedge her role as Queen places between them, and that tension makes for one of the most complex romances on television. When will people learn to stop meddling with the spirit world? Seances never end well; best case scenario, they spoil the surprise of the afterlife, and there is always the chance the ghosts will try to claw their way into your flesh. That is the lesson Quinn Brenner (Stefanie Scott) learns in Insidious: Chapter 3, when an attempt to contact her dead mother draws the attention of a demon hungry for souls. A prequel to the first two Insidious films, Chapter 3 is an origin story for recurring ghost-hunter Elise Rainier (Lin Shaye), who helps Quinn attempt to contact her mother and later fights to free her from the demon’s grasp. Leigh Whannell, who wrote the screenplays for the first two films, takes over as director for this installment. Although he lacks predecessor James Wan’s subtle touches, Whannell does have a knack for creating creepy environments through lighting and sound– the main demon’s persistent wheezing is one of the most disturbing things in the film. Insidious: Chapter 3 is hardly the best horror movie in recent years — the silly mythology of the franchise did not need further explanation, and the film settles too often for jump scares — but it still makes for a fun haunted house ride. More than 60 years after its premiere, there is a reason this classic adventure film is still beloved; it has all the hallmarks of a great blockbuster, buoyed by two of cinema’s greatest actors. The African Queen opens on two British missionaries, Samuel Sayer (Robert Morley) and his sister Rose (Katherine Hepburn), living in an African village on the eve of World War I. After German troops attack the village and kill Samuel, Rose escapes aboard the titular steamboat, whose captain is a gruff, gin-guzzling boatman name Charlie Allnut (Humphrey Bogart). Over Charlie’s protests, Rose formulates a plan: sail downriver and torpedo the German gunboat Queen Louisa. The plot is simple, and so the movie focuses largely on the relationship between the coarse captain and the prim but adventurous missionary. Bogart and Hepburn have a natural rapport, and their inevitable romance never feels forced. Both of them have the charisma emblematic of Golden Age Hollywood, and the script, filled with warmth and wit, serves them well. 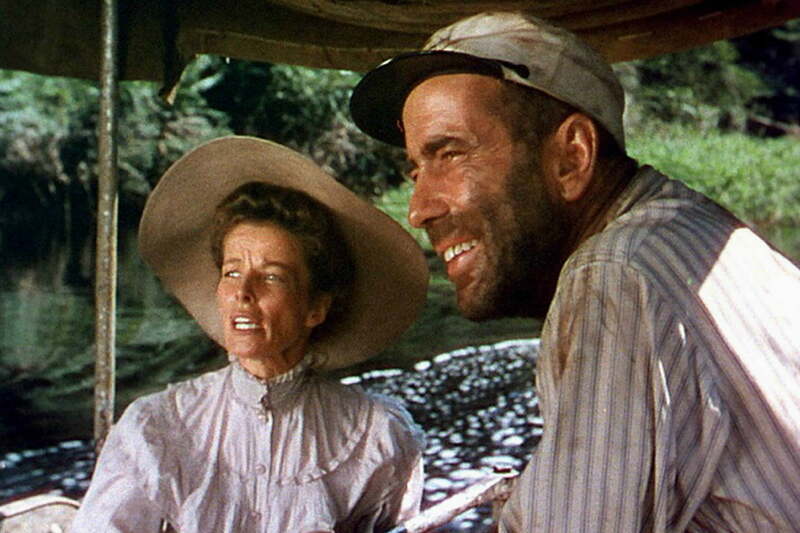 Filmed on location in rich technicolor, The African Queen captures the vibrant beauty of Uganda, a majestic setting for an old-fashioned adventure. Fargo begins with a very bad plan. Jerry Lundegaard (William H. Macy), deep in debt, hires two men, Grimsrud (Peter Stormare) and Showalter (Steve Buscemi) to kidnap his wife. Her rich father owns the car dealership where Jerry works, and the plan is to get him to cough up a hefty ransom — though just how hefty is something Jerry keeps to himself, splitting a smaller amount with the criminals. The kidnapping goes off the rails immediately, leaving local Police Chief Marge Gunderson (Frances McDormand) to try to and mop up the mess, and find those responsible. 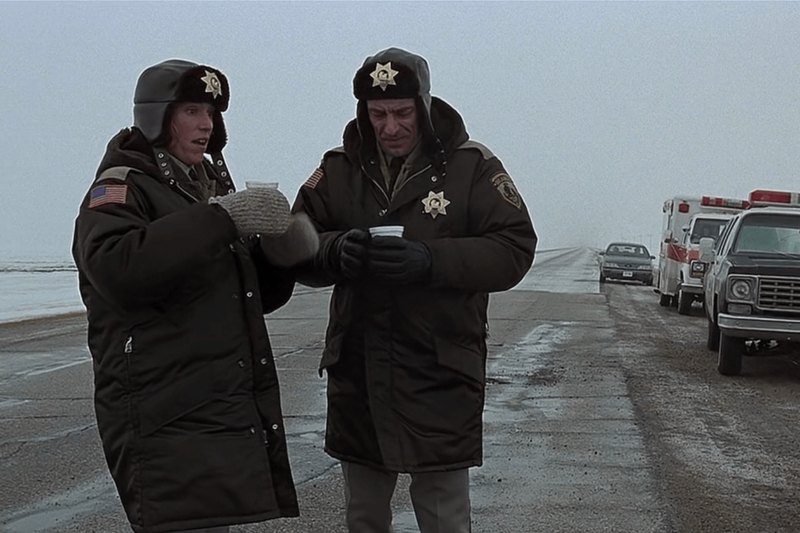 Filmmaking duo Joel and Ethan Coen are known for populating their films with eccentric characters, and Fargo is perhaps the quintessential example. Marge’s folksy, Midwestern politeness stands against the slimy skittishness of Jerry, the vulgarity of Showalter, and the quiet sociopathy of Grimsrud. Even the most minor characters in this film stand out. At times, Fargo feels like a comedy; the kidnapping is botched so quickly, so spectacularly, it is easy to laugh as it goes bad. Beneath the pleasant visage, Fargo is a bleak crime drama, a tale about a town of decent people, a peace torn apart when evil arrives.